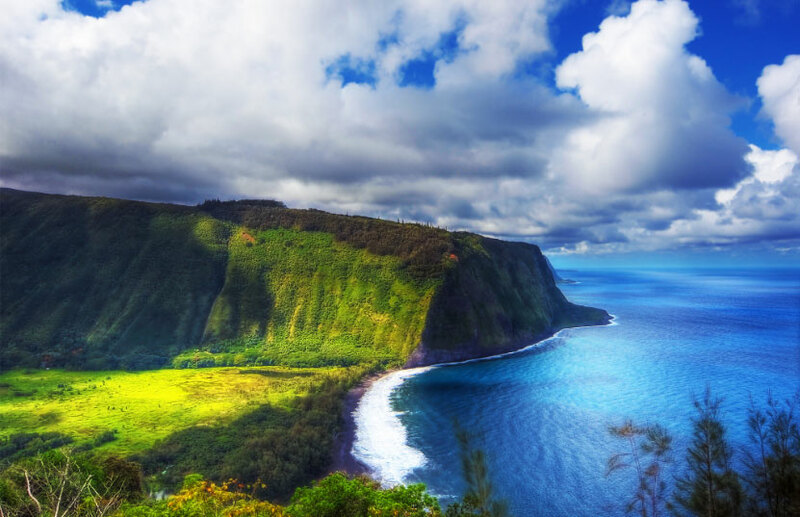 The Island of Hawaii, the Big Island, is as large as all of the other major Hawaiian Islands combined and is also the youngest of the island chain. At only 800,000 years of age, it is still growing. The Hawaii Volcanoes National Park boasts one of the world's most active volcanoes, Kilauea, which continues to pour lava into the sea, adding to the shoreline and producing the youngest land on earth. From snow-capped peaks to black, white and green sand beaches, the Big Island is a study in contrasts. 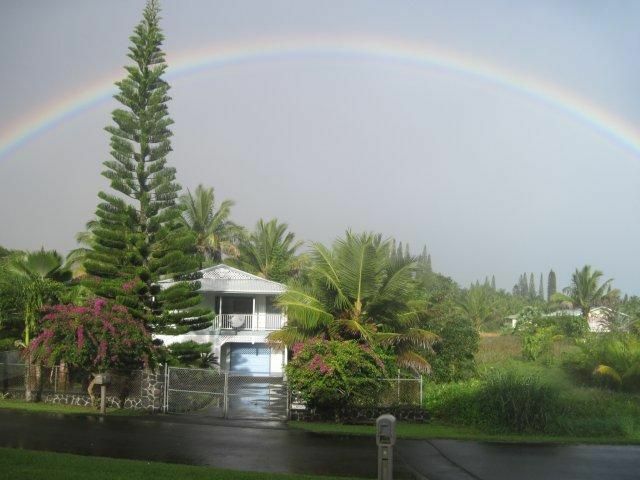 From rocky deserts to lush rainforests, peaceful bays to pounding sea cliffs, rolling pasture land to miles of ancient lava tubes, the island is a place of adventure, beauty and serenity. Royal Hawaiians would often visit this island to rest, restore, and rejuvenate their spirit. Perhaps that is where the idea of "the healing island" first came from. The Island of Hawaii is also the birthplace of King Kamaehamaeha, the Hawaiian king who united the island chain into one kingdom. All over the island you can see petroglyphs and heiau (ancient places of worship). It is a special place of beauty, deep cultural heritage, and spiritual warmth that is without equal. Everywhere you visit you will find the Spirit of Aloha warming your heart. 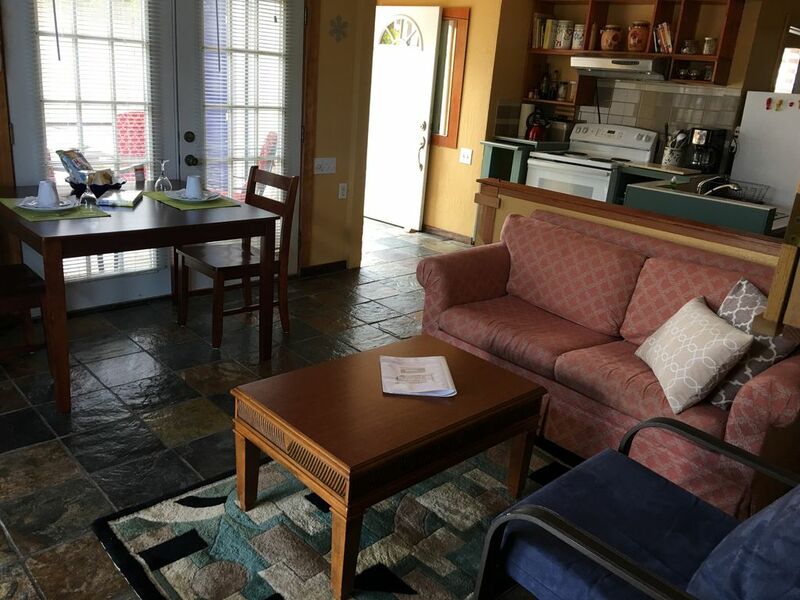 If you are coming from outside the local area to visit the Aloha Aina Wellness Center, the Big Island has no shortage of fantastic vacation rentals to accommodate your stay. Below is a list of several we can recommend that are in walking distance to our clinic. Average nightly price is $75. Click here to book your stay today! Average Nightly Price $190. Click here to book your stay!